To ensure the best potential application of Skin Base Foundation, first ensure that your skin has been eradicated of any patches of dehydrated or dead epidermal skin cells by gently applying skincare with a mild exfoliation method. Washing your face alone may not be enough to keep skin in top condition, so muslin cloths are a perfect accessory for daily facial skin polishing and gentle cleansing to achieve this successful exfoliation result. Be kind to your skin and always be gentle – This should not be done over frequently as this can over stimulate the skin or may lead to sensitivity. Once or twice a week should suffice and if any sensitivity appears cease exfoliation immediately. To ensure the best potential application of Skin Base Foundation, next make sure that you have provided your skin with sufficient hydration. All foundation applications will provide a better result once applied over an optimum level of hydration. If you have extremely dry or dehydrated skin this should be managed by the efficacy of the moisturiser you opt to use. Likewise if you have extremely oily skin this should be managed by the efficacy of the oil control moisturiser you choose to use. If you opt to protect your skin with SPF you should select a moisturiser with SPF contained with an appropriate SPF level you opt to use. To ensure the best potential application of Skin Base Foundation, next make sure that you have provided your skin with an effective primer. Opt for Illamasqua Satin Primer if you want to achieve a more satin effect to the skin, and Illamasqua Matte Primer if you want to achieve a more matte effect to the skin. A primer smoothes the surface of the skin temporarily for a better foundation application and payoff. A primer can be readily applied with the fingers, however a foundation brush would provide a more effective and even application. A swirling circular buffing motion can also be used with a brush if you opt to work in this method to buff and polish the primer onto the skin. Skin Base foundation has a natural halation. It is not designed to be completely flat and matte. A very matte result can be achieved by strategic use of powder. Please note: Natural skin is not often continually matte. Once you have selected your preferred Skin Base foundation shade, next ensure that you apply the product effectively. A little goes a long way with this formula. The foundation tottle bottle administers a small amount for you to apply due to the size of the bottle dispensing tip. 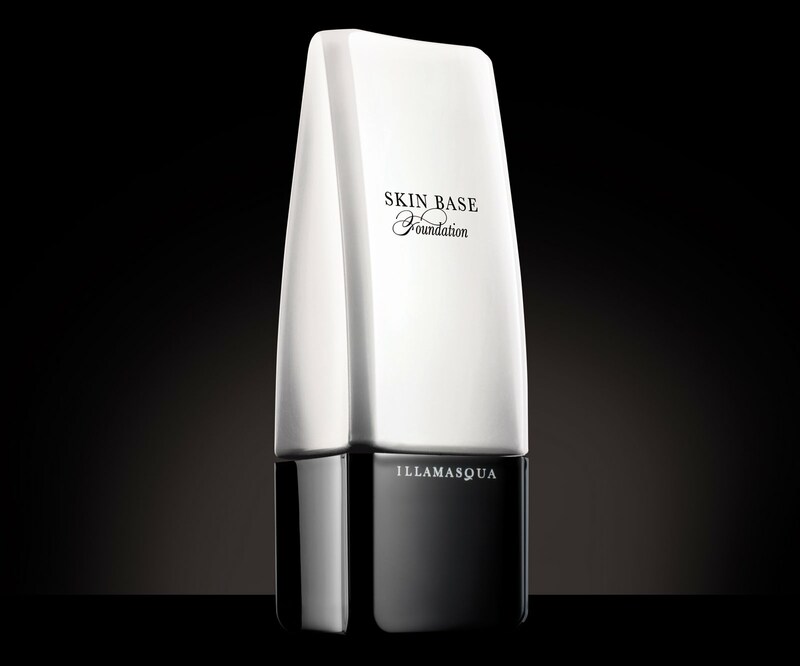 * Mixed with Illamasqua Gleam cream to add luminosity and to provide a sheer coverage level and payoff. * As a heavier foundation layered with a buildable coverage level and payoff followed by a layer of Illamasqua powder foundation to set as a powder. * Powder areas you will feel may require extra shine proofing for extra durability and confidence. These may include the central forehead, nose, either side of the nose on the cheek area and the chin. * Blot Skin Base Foundation after application with a tissue before applying any powder for maximum hold and shine control. 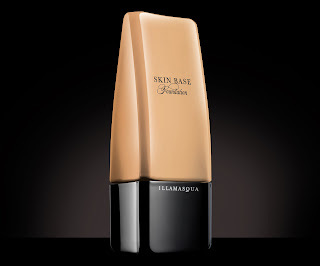 * Skin Base Foundation has an amazing durability on the skin over many hours. The foundation can be applied with the fingers or a foundation brush for optimum application and payoff. I hope this guide helps you to achieve the skin confidence this formula can provide.